When you enter our addiction recovery center, we know that you’re in need of the best addiction treatment care available. That’s why we go out of our way to ensure that all of our clients receive an impeccable level of addiction recovery care. At our drug rehab center, we know that it can be difficult to know where they should turn next. Fortunately, our dedication to ensuring that each and every client receives the care they need in order to reach their recovery goal has given us the necessary experience to guide even the most problematic clients. At our substance abuse treatment facility, we provide every client with a customized plan for addiction recovery treatment. This means that your plan for addiction recovery care will not necessarily look like the plan your peers in the facility receive. 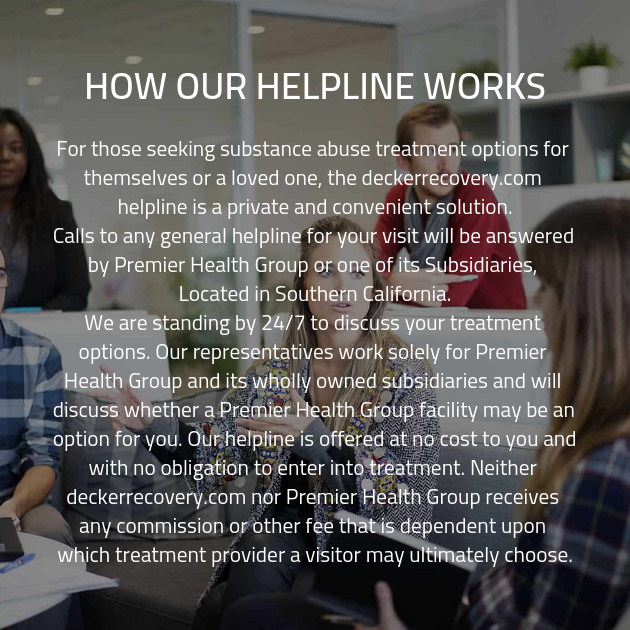 This is because when you enter our drug addiction treatment facility, you begin by taking part in an in-depth intake interview conducted by one of our well-trained and friendly addiction recovery advisors. These advisors will ask you a series of questions about your history of substance abuse, as well as any similar issues that your family may have struggled with in the past. We count with 3 top level health care centers around the country. In each of them we have a group of specialists ready to help you. You may wonder whether or not all of these questions are necessary in order to provide you with the addiction recovery treatment you need in order to reach your recovery goals. Rest assured that the questions asked during your interview will prove essential to the recovery process. This is because the details that we learn during your intake interview will be utilized in the creation of your personal customized addiction recovery plan. By learning about the issues you’ve faced early on in your time with us at our addiction recovery treatment center, we can ensure that you receive the best care possible. Why is a customized plan for addiction recovery treatment the best care available? By learning about the areas where you need additional care, we’re able to provide you with a customized schedule for addiction recovery treatment that targets the areas where you need extra care and applies treatment accordingly. We know that every client is a unique individual, who has come to substance abuse through a singular path, and in order to provide the necessary care to reach recovery, a similarly unique plan for addiction recovery may prove essential. When you’re ready to get the treatment you deserve, get in touch with us.